Making origami animals is magical. The process of folding a flat piece of paper into a recognizable figure is mesmerizing and entertaining in itself. And it is terrific when we can relate the finished creature to a cherished holiday. 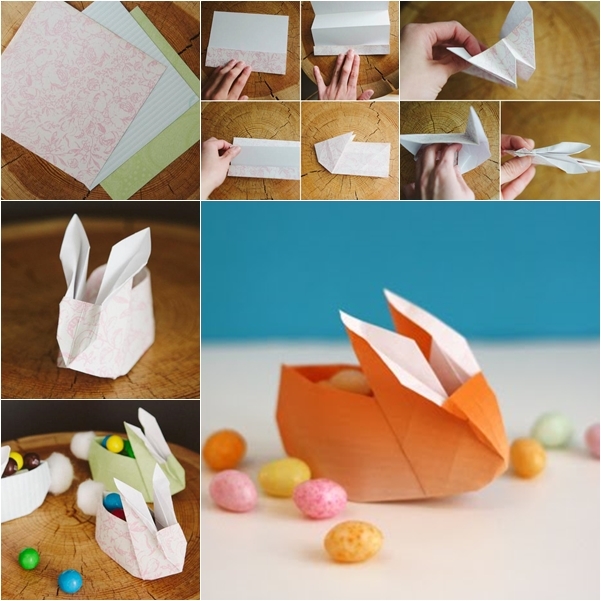 This origami rabbit box is a perfect example of origami magic! It’s cute for decoration and useful for Easter serving. Put a candle inside on dinning table will be perfect for Easter night.